There’s a longing for the spring as flowers die and leaves wither from trees. The anticipation for the summer builds as frigid temperatures freeze us to the core and pure white snow morphs into muddy slush, reflecting the depression some experience after days of cabin fever and darkness by 4 pm. If this is not enough, as much as we may try, we cannot always prepare for the fall in the winter. 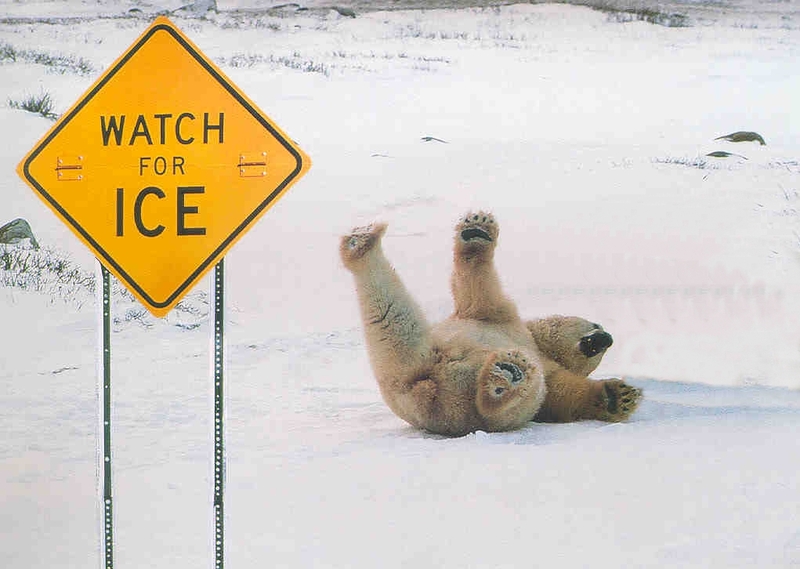 Too many of us take part in the dance where we flail our arms about with our feet slipping and sliding atop of ice patches that seem to randomly appear during our daily journeys. This past Wednesday, I did a quick two step and took a dip that left me with a sprained wrist. As I type this post primarily with my left hand, the less dominant one, I wonder how many more others are nursing their winter injuries that range from minor bumps and bruises to broken bones and even concussions. More importantly, as difficult as it may be, I hope those people are not allowing those injuries from the falls to take away their optimism. Put on a happy face; sunnier and warmer days are ahead. That’s my motto! The Dead Will Walk Again Tomorrow! Carol was surprisingly banished, Hershel, the moral compass of the group, was mercilessly slain. The Governor got what has been coming to him for a long time! 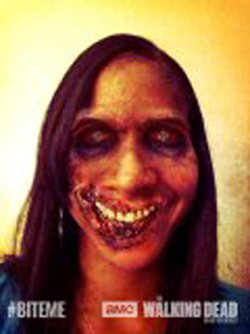 After a mind-blowing mid-season finale, my anticipation for the return of “The Walking Dead” is at an all-time high. The AMC premiere clip is a teaser that at best only reveals that Carl is still alive, and I just need to know how the group has been divided and who will and has survived. Tomorrow evening cannot come soon enough! Is Late Really Better Than Never? “I’ll get there when I get there,” people utter. Students protest, “I was only five, fifteen, thirty minutes late.” “Yes, your car should have been ready by 1:00 pm, but we’re backed up, so it’ll be more like 5:00 pm,” is what I was told just yesterday after waiting since 11:00 am with my baby girl whose patience was wearing thin (not to mention my patience). Some people must truly live by the phrase “Better late than never,” but I, in most cases, absolutely deplore it. Of course, we may all run late once in a while, but more and more people, at least in the tri-state area of Philadelphia, PA, have no regard for people’s time and see being habitually late as just a part of life. Admittedly, I am one of those type A personalities who tends to show up early to events to ensure that I am not late, so this could attribute to my lack of tolerance for lateness. But it is also because I value and respect people’s time. I wish there was a way for people who have no problem with regularly being late to see how their actions negatively impact others. Let’s consider if that cliche phrase “Better late than never” is always applicable. 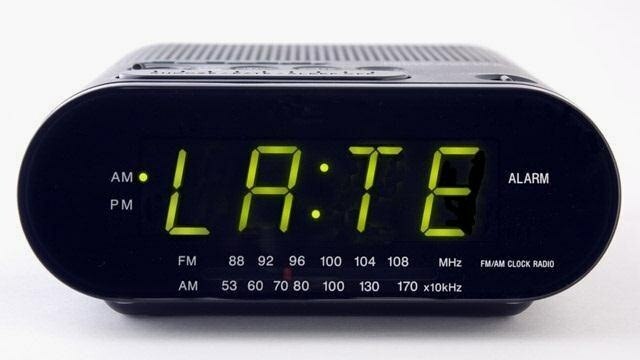 Being late involves more than just annoying or inconveniencing the other person who is patiently waiting. Before you blow off being late and view it as no big deal, think about the domino effect it will have on those directly and indirectly involved. PS. One of my biggest pet peeves is lateness, and this week, I’ve had quite a few issues with people being late and needed to vent a little. Thanks for reading. 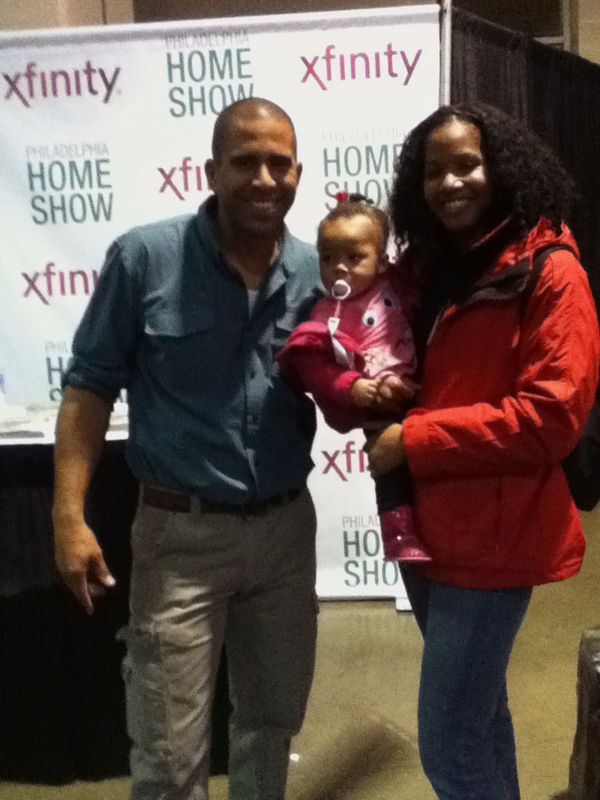 Last week, I went to the Philadelphia Home Show excited to attend Ahmed Hassan’s presentation. He’s the former host of the hit show from the DIY Network, “Yard Crashers,” so I had a few questions about my yard and secretly hoped to be granted a free botanical masterpiece. Though no yard makeovers were given, he offered the audience something else, something special. Ahmed passionately and candidly discussed what roads he took to get to where he is today. I found it to be quite admirable of him to disclose not only his triumphs but struggles with us prior to answering questions about landscaping or the excitement that comes with being a TV host. Listening to him made me feel like I am on the right path. Many people get so caught up in where they are in life, yet they may not know or even consider what it took to get there. Even in knowing where we would like to end up, it’s tricky because some maps are still being drawn out as we carry out our journeys; there are hills, valleys and terrain yet to be discovered. As we come across them, we will eventually realize how they helped us get a littler closer to where we want to be, which is absolutely wonderful to me. As Ralph Waldo Emerson profoundly stated, “Life is a journey, not a destination.” Thanks Ahmed for reaffirming this for me. 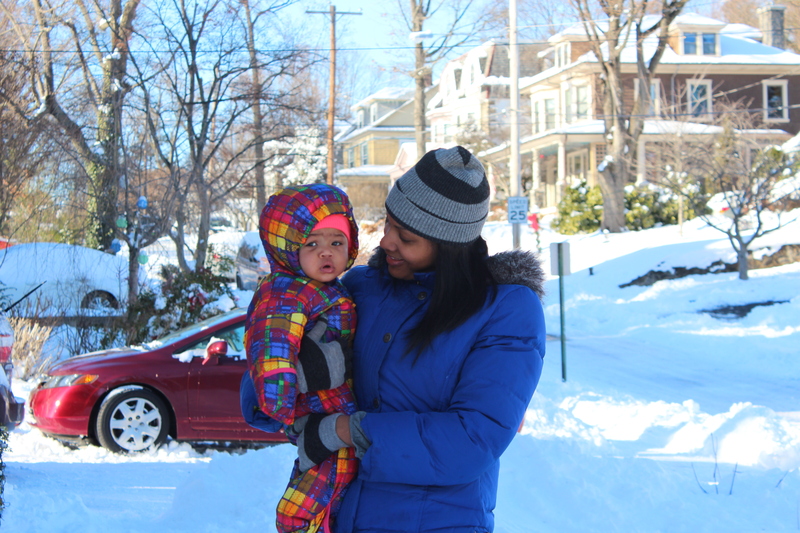 One of my goals for the new year was to start a second blog dedicated to my journey as a new mommy. There truly is so much to learn in so little time, but sharing my thoughts always helps me through the learning process. Maybe they will help someone else as well. Baby Quinn has been my muse as she constantly grows and reaches milestones within a blink of an eye. I am extremely excited about my blog, “Mommy’s Baby Steps” and hope that you will occasionally stop by to check it out. Though I will still be composing posts about my journey of finding me on this blog, I am eager to provide DIY projects, ways I’ve been saving money as a new mom, the many dilemmas I face, what I’m learning and the adventures of baby Quinn and me. Delighted to Make Your Acquaintance 2014! As soon as we became comfortably acquainted 2013, it was time to bid you adieu. Though I am sad to see you go, I welcome your not-so-distant relative 2014 with a hardy handshake. Even though we’ve just met 2014, I am eager to make a pact with you. 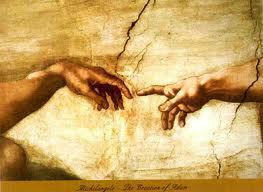 Give me all that you have to offer, and I will readily do the same! I will give my all to being an even better wife and mother to my husband and daughter than in 2013. Of course, to properly take care of them, I must take good care of myself. Therefore, I plan to continue improving my financial, physical and spiritual health by investing and spending wisely, preparing for the future, exercising and meditating regularly, and reading and applying spiritual and motivational literature to my life on a frequent basis. In an effort to continue my intellectual, spiritual and creative journey, I’ve decided to start another blog dedicated to my musings and journey as a new mother. It’s hard out here for a mom, actually for anyone parenting a child, so my hope is that someone will find my posts to be beneficial and receive much needed support. I’m excited to get insight and support for myself as well and am presently working on the site, so stay tuned. It has been a pleasure connecting with people in 2013, and I’m looking forward to making even more connections in 2014.